Wharton School, University of Pennsylvania, 2006. Perelman School of Medicine, University of Pennsylvania, 2006. Perelman School of Medicine, University of Pennsylvania, 2012. 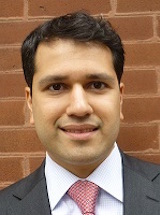 Mehta SJ, Volpp KG, Asch DA, Goldberg LR, Russell LB, Norton LA, Iannotte LG, Troxel AB: Rationale and Design of EMPOWER, a Pragmatic Randomized Trial of Automated Hovering in Patients With Congestive Heart Failure. Circulation: Cardiovascular Quality and Outcomes April 2019. Mehta SJ, Pepe RS, Gabler NB, Kanneganti M, Reitz C, Saia C, Teel J, Asch DA, Volpp KG, Doubeni CA: Effect of Financial Incentives on Patient Use of Mailed Colorectal Cancer Screening Tests: A Randomized Clinical Trial. JAMA Network Open March 2019. Newberry C, Saha A, Siddique SM, Metz DC, Domenico C, Choi K, Gitelman E, Mehta S.: A Novel Clinical Decision Support System for Gastrointestinal Bleeding Risk Stratification in the Critically Ill. Joint Commission Journal on Quality and Safety March 2019. Mehta SJ, Asch DA, Troxel AB, Lim R, Lewey J, Wang W, Zhu J, Norton L, Marcus N, Volpp KG: Comparison of Pharmacy Claims and Electronic Pill Bottles for Measurement of Medication Adherence among Myocardial Infarction Patients. Medical Care 57(2): e9-e14, February 2019. Siddique SM, Mehta SJ: Holding Gastroenterologists Accountable for Colonoscopy Through MACRA Episode-Based Cost Measure. Clinical Gastroenterology and Hepatology January 2019. Siddique SM, Mehta SJ, Lewis J, Neuman MD, Werner RM. : Rates of Hospital Readmission Among Medicare Beneficiaries With Gastrointestinal Bleeding Vary Based on Etiology and Comorbidities. Clinical Gastroenterology and Hepatology 17(1): 90-97, January 2019. Doubeni CA, Fedewa SA, Levin TR, Jensen CD, Saia C, Zebrowski AM, Quinn VP, Rendle KA, Zauber AG, Becerra-Culqui TA, Mehta SJ, Fletcher RH, Schottinger J, Corley DA. : Modifiable Failures in the Colorectal Cancer Screening Process and Their Association with Risk of Death. Gastroenterology 156(1): 63-74, January 2019. Mehta SJ, Khan T, Guerra C, Reitz C, McAuliffe T, Volpp KG, Asch DA, Doubeni CA: A Randomized Controlled Trial of Opt-in versus Opt-out Colorectal Cancer Screening Outreach. American Journal of Gastroenterology 113(12): 1848-1854, December 2018. Huf SW, Mehta SJ: Behavioral Economics and Breast Cancer Screening: Looking Beyond Patient Cost. Journal of Women's Health November 2018. Mehta SJ: Scaling and Spreading Innovation in Health Care Delivery. Joint Commission Journal on Quality and Safety 44(10): 564-565, October 2018.